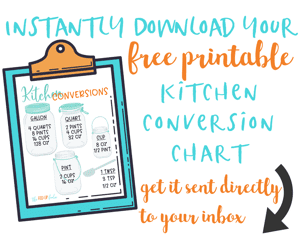 One of the easiest ways to get a healthy dinner on the table quickly. 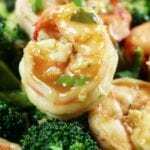 Shrimp & Broccoli Stir Fry is a super tasty 20 min meal. 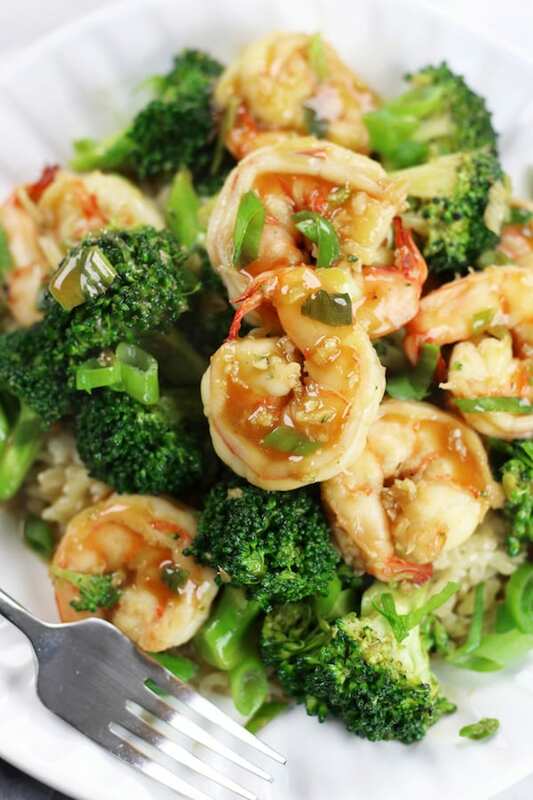 Here are a few tricks of the trade with making this Shrimp & Broccoli Stir Fry. 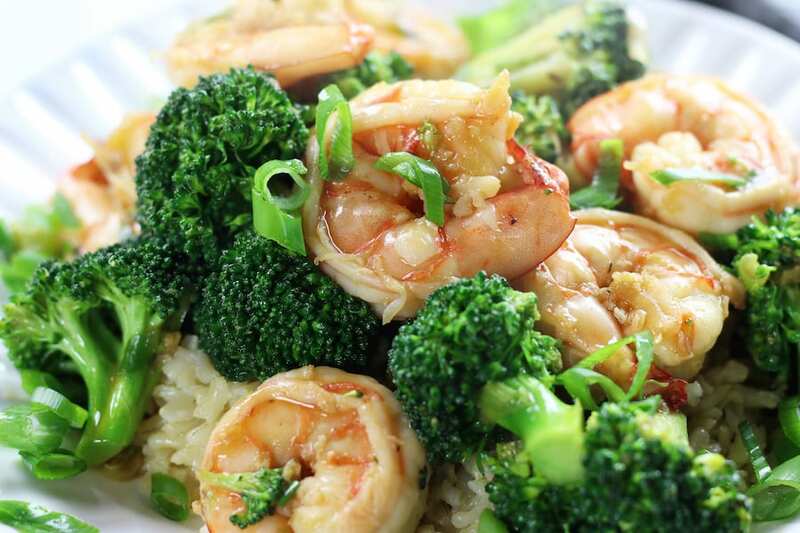 Prepare your rice, peel and devein shrimp, clean and cut broccoli and make your stir fry sauce first. The actual cooking of the stir fry goes quickly so having everything prepared first will help in ensure dinner comes together with ease. My preferred method of cooking stir frys will always be using a semi-traditional wok over high heat. I love that these woks have a curved shape but are flat bottomed. This design stays in place on the stovetop due to the flat bottom. It is also easier to toss the ingredients while cooking and food doesn’t fly over the side like it does often with frying pans. It is important to remember to use hight heat when doing a traditional stir fry. Heat your wok over the highest heat possible. Add oil and when the oil starts to smoke add in ingredients and toss while cooking. Work in batches, or in other words, don’t overload the wok. For this Shrimp & Broccoli Stir Fry I stir fried the shrimp first, removed the shrimp to a large bowl and then stir fried the broccoli. Most of us do not have powerful enough stovetops to get the best high heat that restaurants do, so working in smaller batches helps the food to fry rather than steam. Pro Tip: I have one large burner that becomes extremely hot. If you are not able to achieve a higher heat (smoking pan), break down the stir fry into smaller batches. I served this stir fry over a bed of brown rice, but to make this dinner extremely low carb, eliminate the rice all together. 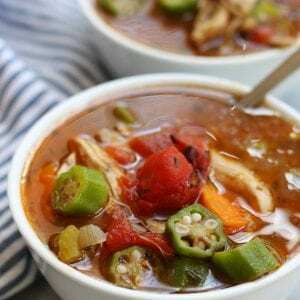 If serving 2 people, this recipe will has 4.5 grams of carbohydrates per serving. 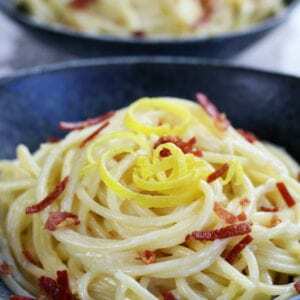 If serving 4 people it has 2.25 grams carbohydrates per serving. Add 1- 4 of these dried peppers at the same time as the shrimp or grind them up using a mortar and pestle and add to the stir fry sauce. Use 1- 2 tbsp of this paste in the stir fry sauce. 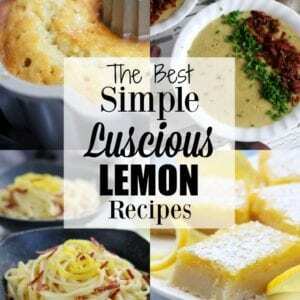 Heat the oil for the shrimp and broccoli with 1 -2 tbsp of this. What shrimp should I buy? Just comparing the ingredient list of farmed raised vs wild caught shrimp you will immediately see a difference in quality of the shrimp. Wild caught has 1 ingredient, shrimp. Farmed raised has shrimp, salt and sodium tripolyphosphate. Most frozen shrimp is thrown on ice at the time of catching, keeping the freshness intact. There seems to be more uncertainty of freshness when purchasing fresh shrimp. Farmed shrimp can be highly contaminated. Keep in mind that wild caught shrimp is not without fault. It does tend to be more expensive and unfortunately the by-catch (the act of catching other non-intended sea life) tends to be high. My suggestions are 1) watch for sales at your “healthier” grocery stores. They seem to go on sale about once a month. 2) Look for the Marine Stewardship Council’s logo. They have established standards on how shrimp should be caught. Also, if your local store does not carry this type of shrimp, ask them to start. What does the count on shrimp packages mean about their size? Here in the United States shrimp are sold by size per pound. So for example, I purchased for this stir fry 13/15 which means that there are 13- 15 shrimp per pound. If your package says 31/35 that means there will be 31- 35 shrimp per pound. Needless to say, the smaller the number the larger the shrimp. To defrost shrimp place in a large bowl, add shrimp, fill with cold water and place in the refrigerator. Drain and replace the water a few times. It generally takes a few hours to fully defrost shrimp. How do I peel and devein shrimp? Once the shrimp are defrosted, peel by using your fingers starting at the inside curve where the legs are. Simply pull the shell from the body using one hand while holding the shrimp with the other hand. I personally prefer to not leave the tail on. To remove, hold the tail with one hand while gently pulling the shrimp from the tail with the other hand. To devein the shrimp use a small paring knife (this is my favorite for shrimp) and make a shallow incision running down the length of the outside curve. The vein will appear as a long black line. Remove and run the incision under cold water for a few seconds to make sure it is fully clean. Pro Tip: Sometimes you will come across orange jelly sacks where the vein should be. I have yet to have confirmed what those orange sacks are. I have heard they are gonads, roe and numerous other explanations. Some people throw those shrimp out but I clean those shrimp and still use them. You will need to use your best judgement but just know that we have yet to have any issues when encountering these type of shrimp. It is the rule of thumb that raw meat, of any type, should not be refrozen if defrosted on a countertop. However, if defrosted in the refrigerator, then the rule of thumb is it is safe to refreeze. My personal experience is once defrosted, use right away. That means if you are purchasing shrimp on display from a meat counter it is best to use that day and do not throw them back in the freezer. If you are planning on not using the shrimp immediately, have the butcher grab frozen shrimp from the back. How do I know when the shrimp are done? The beauty of cooking shrimp is that they cook very fast and are usually extremely easy to tell when done. In raw form, generally they will appear grey. When the shrimp are fully cooked they will turn pink on the outside and the inside flesh will be white. On very high heat these shrimp cooked within 5 mins but be careful to no overcook. 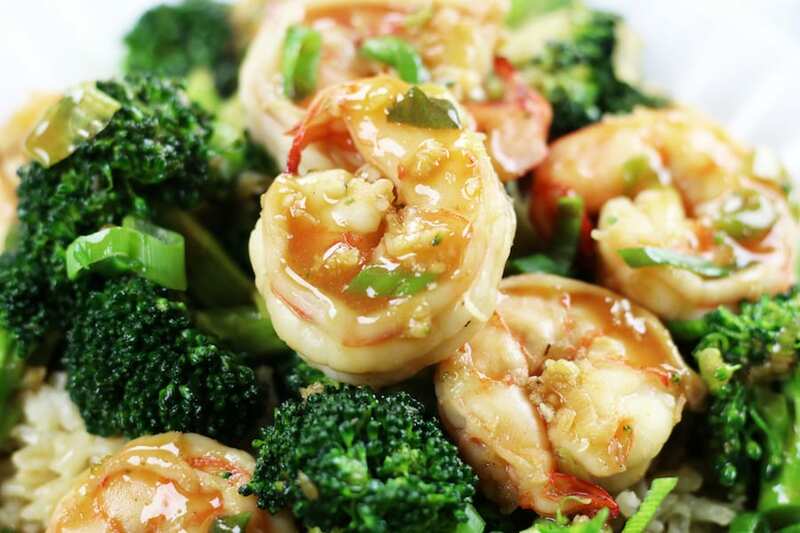 What other vegetables can be used for a shrimp stir fry? The most important element of cooking stir frys at home is that you tailor the ingredients to your personal taste preferences. Here are a few other vegetable options. Just keep in mind that additional cooking times may be required with the type and amount of veggies you choose. Also additional sesame oil. Clean and prepare shrimp. Refrigerate until needed. Clean and cut broccoli into florets. Whisk together all ingredients for sauce. Set aside. Place a wok or frying pan over highest heat setting. Add 1 tbsp of oil. When pan begins to smoke add shrimp and stir fry tossing occasionally until cooked, about 3-4 mins. Transfer to a large bowl. Place wok or frying pan back over highest heat setting. Add oil and when pan begins to smoke toss in broccoli florets and stir fry until bright green, about 3-4 mins. Toss in green onion the last min of cooking broccoli. Transfer to same bowl as shrimp. Place pan back over highest heat. Whisk sauce again and add to pan. Cook stirring occasionally until sauce begins to thicken. This will take anywhere from 1-4 mins depending on the strength of heat source. 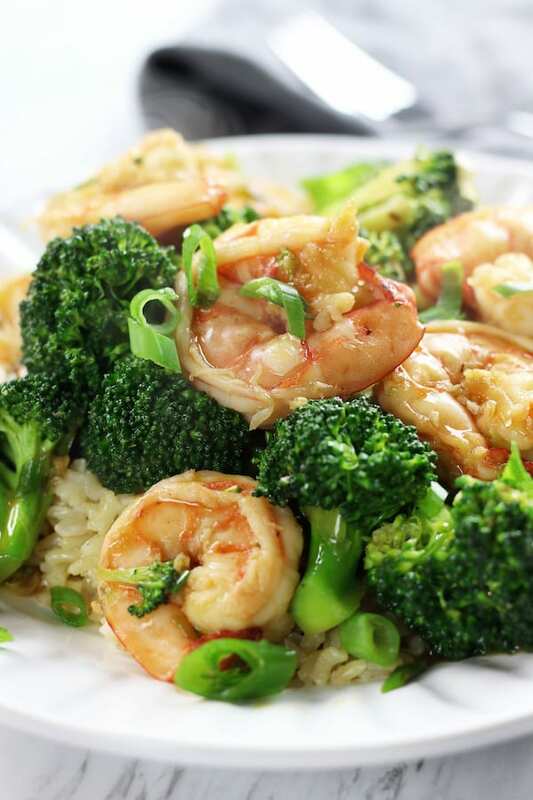 Turn off heat and add shrimp and broccoli back to the pan. Toss well. **Preparation time does not include defrosting of shrimp or making of rice.